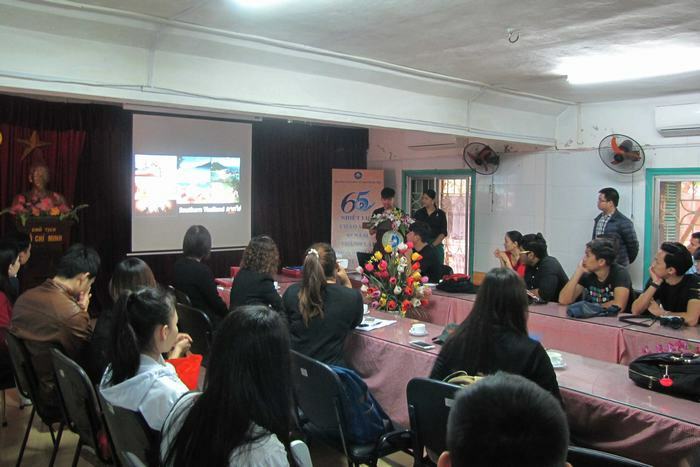 Kewalin Thammasitboon, Assistant Dean for International Cooperation led the delegation team of 15 students who are the outstanding leaders from PSU, Thailand. 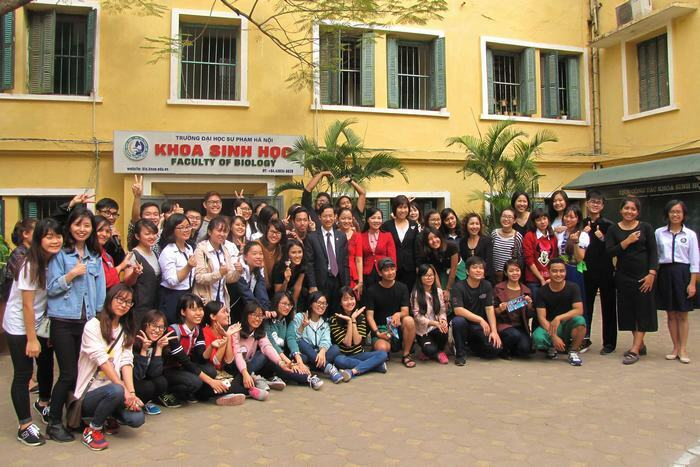 On the side of Hanoi National University of Education, there is MSc. 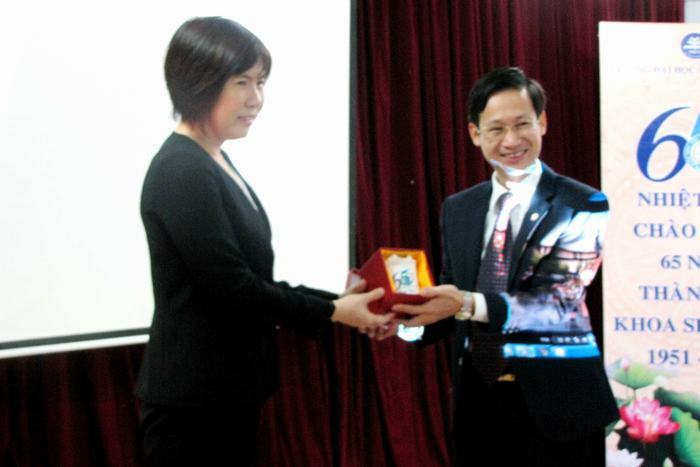 Do Thi Kim Cuong, Deputy Director of International Cooperation Department, Assoc.Prof.Dr. 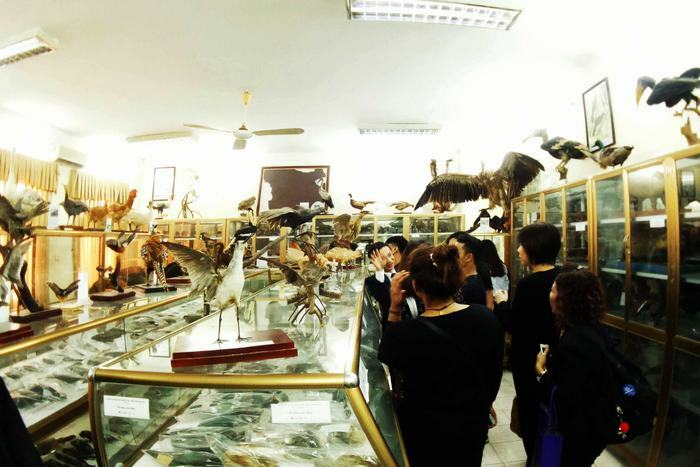 Prof. Dr. Nguyen Lan Hung, Dean of Faculty of Biology and students. 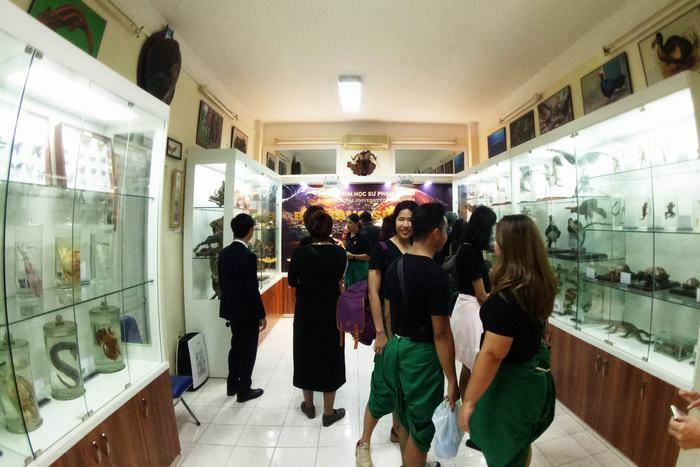 Prince of Songkla University (PSU), a public university established in 1967 as the first university in southern Thailand, consists of five campuses offering various programs of education consistent with the needs of their communities. 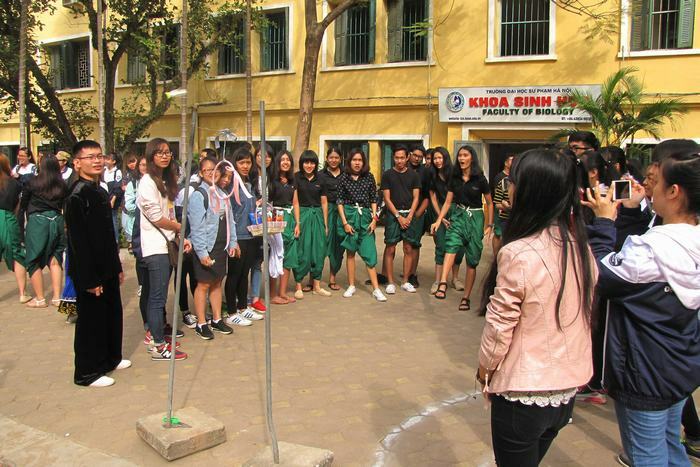 Moreover, PSU also comprises 39 faculties, colleges and institutes, four hospitals, and more than 40 excellence and research centers, all committed to academic excellence, strong social responsibility, and active engagement in community services. 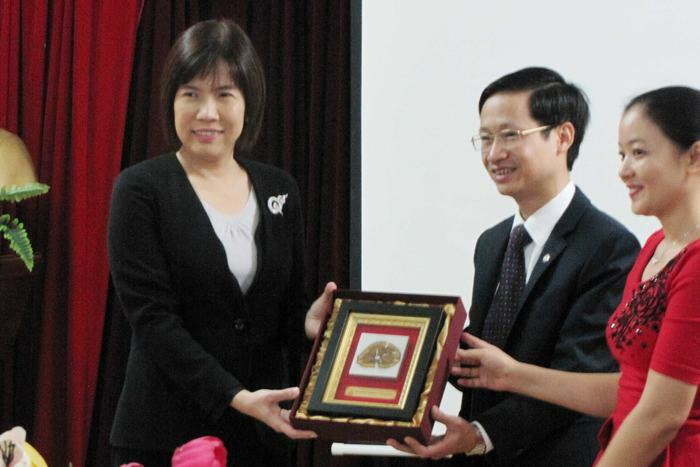 The central aims of the university are to raise general education standards and support regional industry and development. 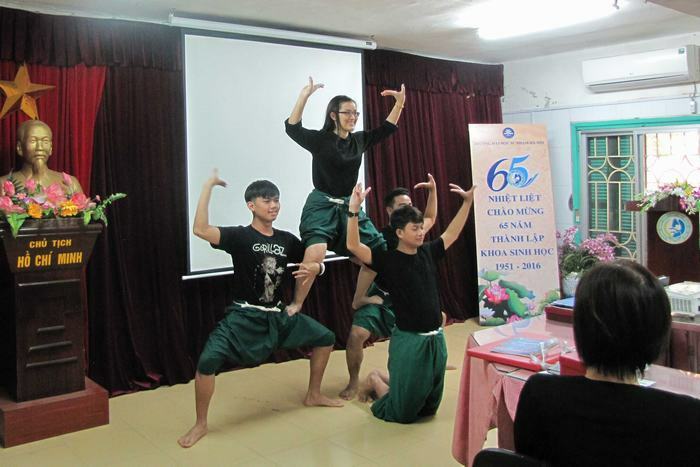 In the program, the delegation from PSU had a presentation about the country, the people of Thailand, PSU through short films, and lively, traditional dances. 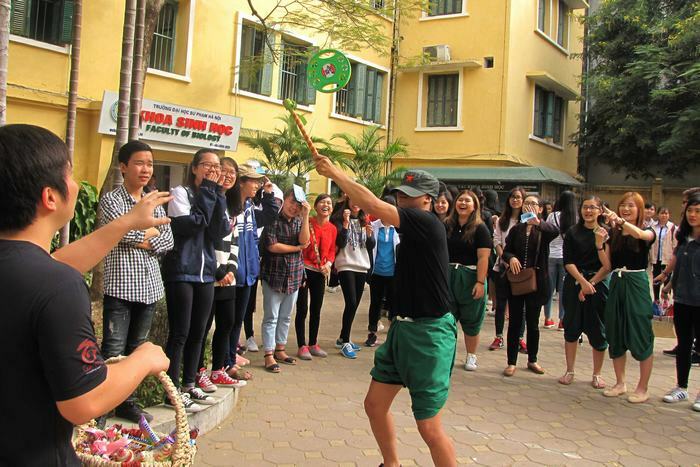 Meanwhile, HNUE students introduced many Vietnamese traditional folk games such as bridge ball, dance with the rope, jump rope, pick up beans ... After the meeting at the Faculty of Biology, Thai students visited the Museum of Biology and learn more about Vietnam's biodiversity. 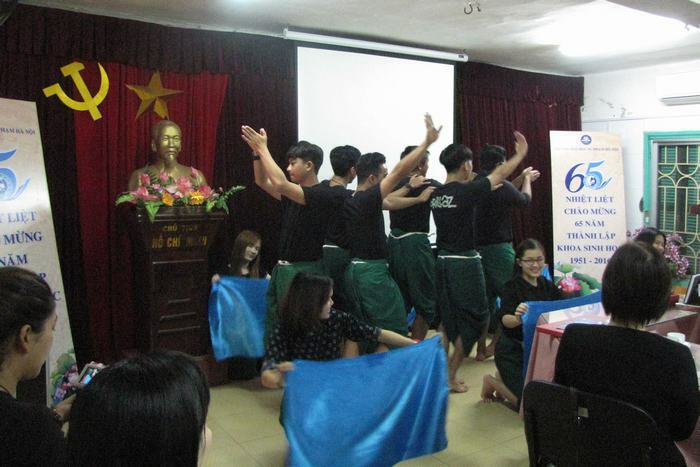 The exchange program left good impression to Thai-Viet students. 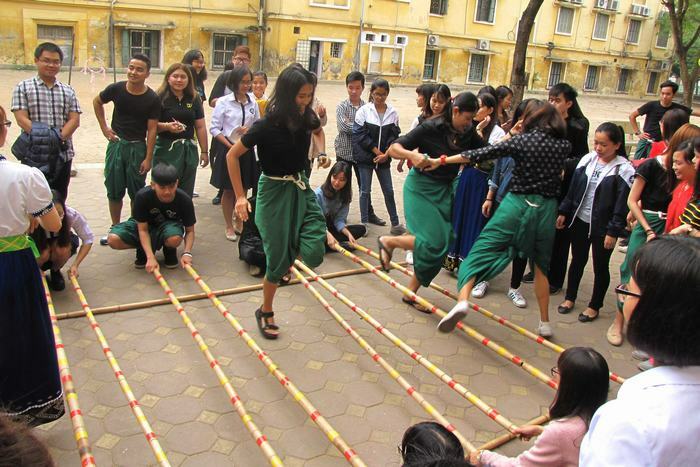 Hopefully, in the future, the exchange program will be enriched and expanded.